Upon receiving word of the Emperor’s request, Elector John at Torgau commissioned Martin Luther, Philip Melanchthon and several other theologians to write the requested confession of faith. Melanchthon wrote the Augsburg Confession by discussing the teachings of Luther. He also presented the Confession to the Diet at Augsburg because Luther was still under a death sentence if he traveled outside Saxony. The first public reading of the Confession was at Augsburg on June 25, 1530. Each article of the Augsburg Confession is drawn from Scripture. Indeed, the hallmark of the Reformation is the insistence on Scripture alone for the doctrines and teaching of the church. Melanchthon appealed to the ancient church for additional arguments for the understandings expressed in the Confession. In all there were twenty-eight articles which set forth the Lutheran understanding of the faith. These articles ranged from God and Justification to a position on the marriage of priests. Many of the articles were controversial because the were directly opposed to the teachings of the Church of Rome. The Augsburg Confession marks the first time a church had systematically written its beliefs. Before this various articles of faith had been discussed and written, but the entire content of faith had not been documented in one place. Therefore the churches which hold to the Augsburg Confession can rightly claim to be the first “confessional” church. Rome did not document their understanding of the articles of faith until the Council of Trent in 1545. 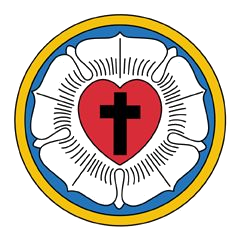 Unlike later church bodies which can and do modify their basic confessions, the Lutheran Church holds firmly to the Confession delivered to the Emperor on that fateful day of 1530. Later confessions were written, but they built on the framework provided by the Augsburg Confession. Even today Lutherans can appeal to the confessions because the confessions agree totally with Scripture and are subservient to Scripture. Although the political picture has changed since 1530, the Confession speaks to our world with the same power as to the world in Luther’s time. Salvation is still by God’s grace, through faith, for the sake of Christ. That will never change. Text of the Augsburg Confession in a new window.